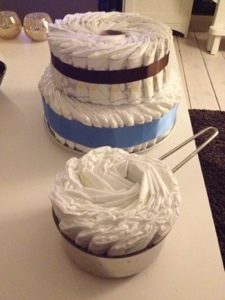 A diaper cake is easy made, you just need three different sized pans and a lot of diapers. 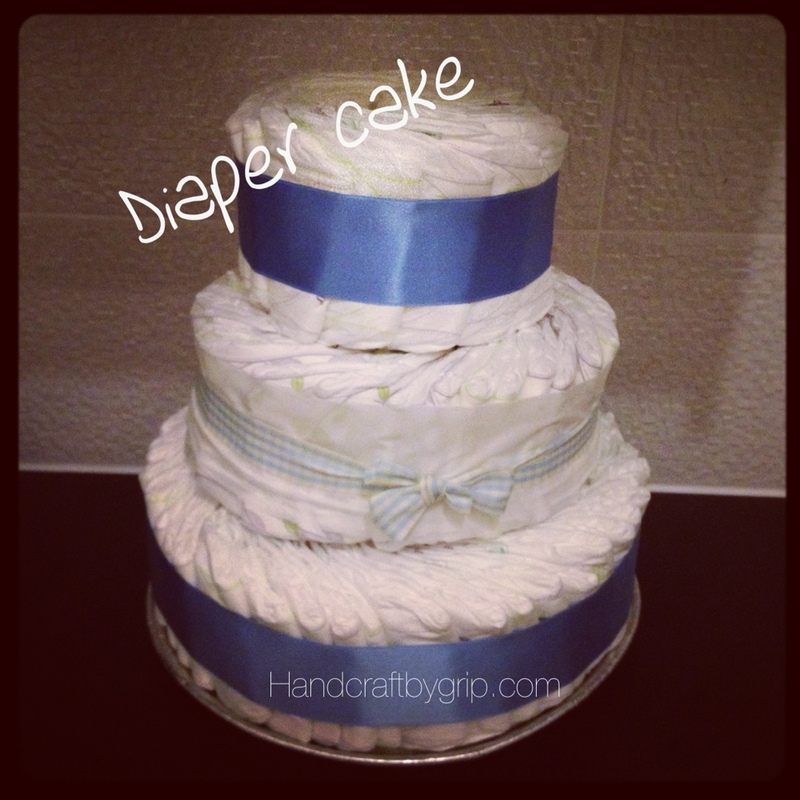 I used 88 diapers on this diaper cake and decorated it with satin ribbons glued together. 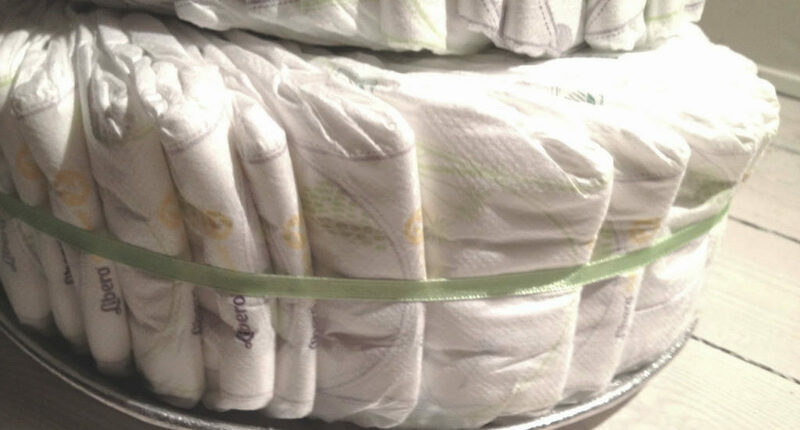 Use pans of different sizez for the three stories of cake. 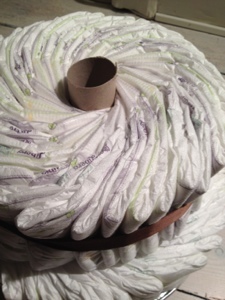 Put a paper tube in the middle to keep the stories together. 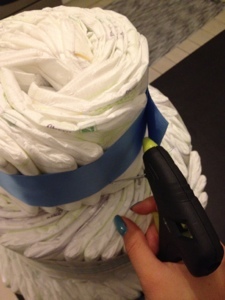 Glue the ribbon endings together.